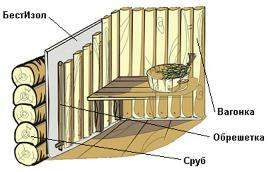 Let’s take a wooden structure as an example. The first option provides for the BestIzol Thermal Insulating Material Type B with two air cavities (Fig. 3). The second option provides for the BestIzol THERMAL INSULATOR Type A (Fig. 9) with just one air cavity. If you are interested in building a bath in a brick or concrete “environment”, you need to refer to sections about the wall thermal insulation and follow recommendations taking into account the heat engineering requirements of your structure. After the installation of the foil insulator, insufficiently heated walls receive a good thermal shielding and a reliable barrier against moisture, noise and wind. 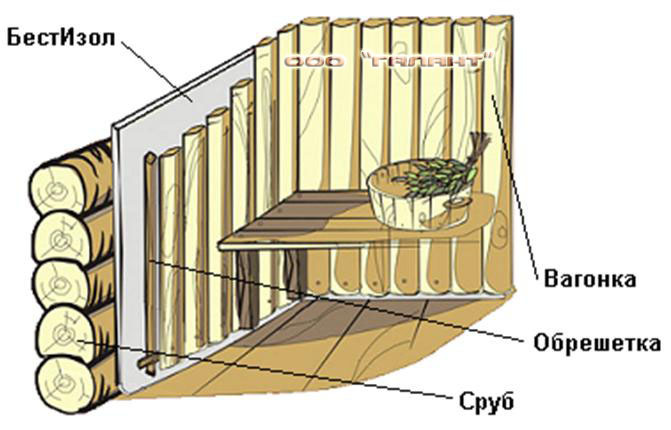 Installation of the thermal insulation is possible with the temperature range from +5 to +40° С. Aluminum foil is a good conductor; please make sure that electric wiring is secured.